Editor’s note: Most guitar players rely on frets to help them consistently play notes. Frets are easy to spot on your average guitar since they are the metal strips that span the width of the guitar’s fingerboard. But you won’t find any frets on the guitar pictured in this project. That’s because some musicians prefer their guitars without frets because they feel they can produce a wider range of sound sans frets. 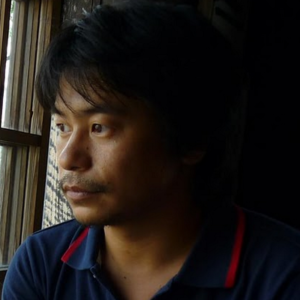 Hirotaka Niisatom is one such musician. 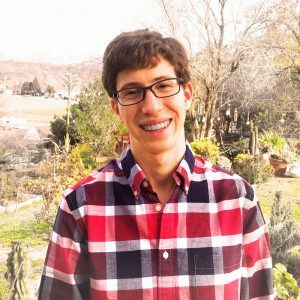 He combined his passion for fretless playing with his love of electronics projects. 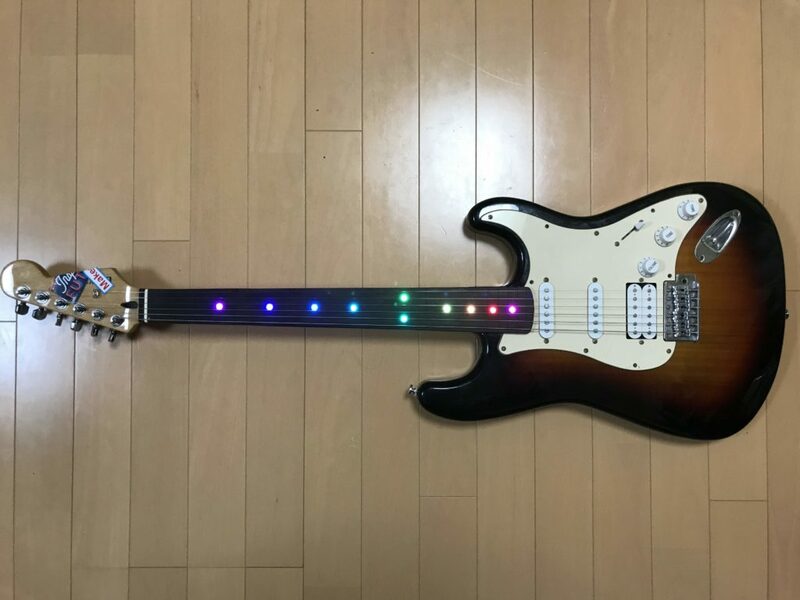 The result is something to behold: a Particle Argon-powered fretless guitar with colorful Neopixel LEDs. 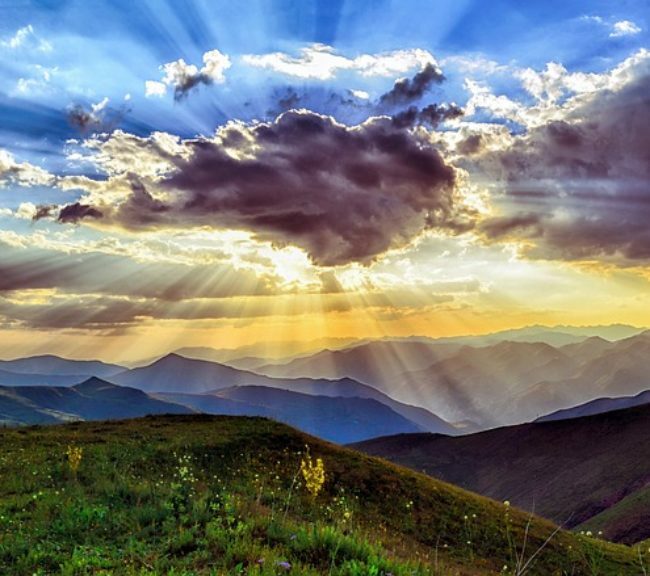 This post originally appeared on Hackster and is republished with the author’s permission. 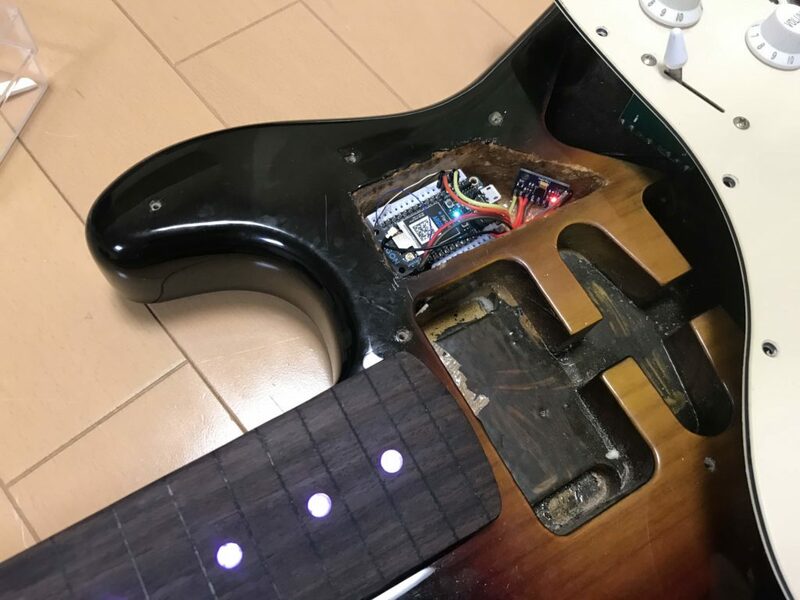 This project hacks a normal guitar so you can control NeoPixel LEDs with it. 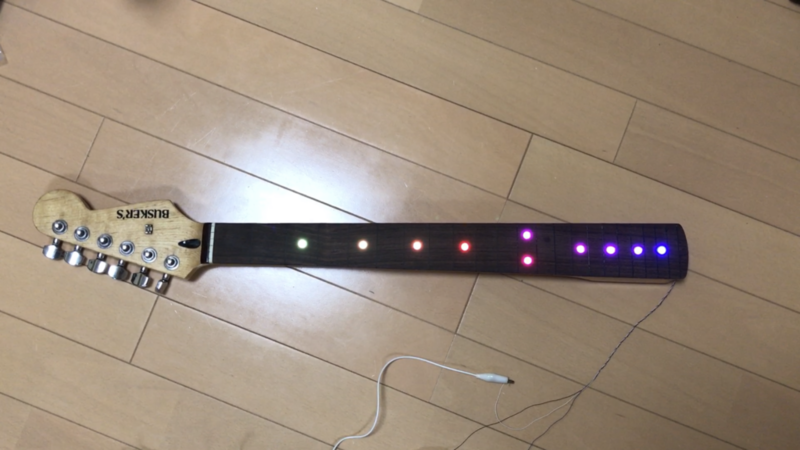 Particle Argon in back side of pick guard control the NeoPIxel LED. 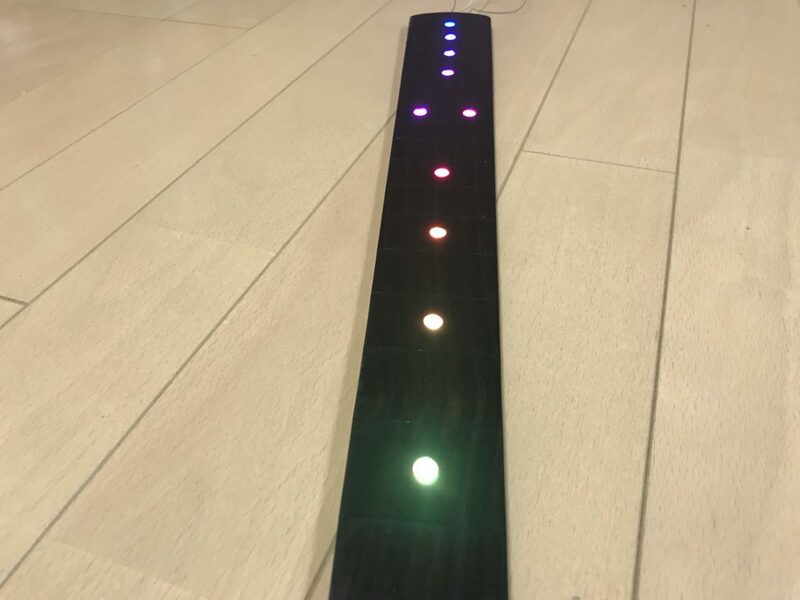 You could control the LED color pattern when your play the guitar with MPU 6050 6-axis sensor in guitar. 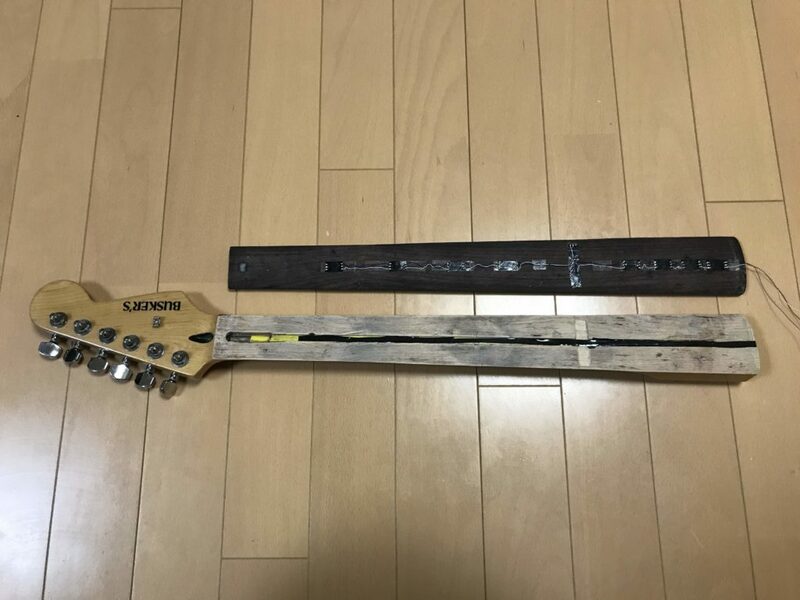 And I want to make and play a fretless guitar, so this guitar don’t have a frets. Fretless guitar sound is very unique and interesting. 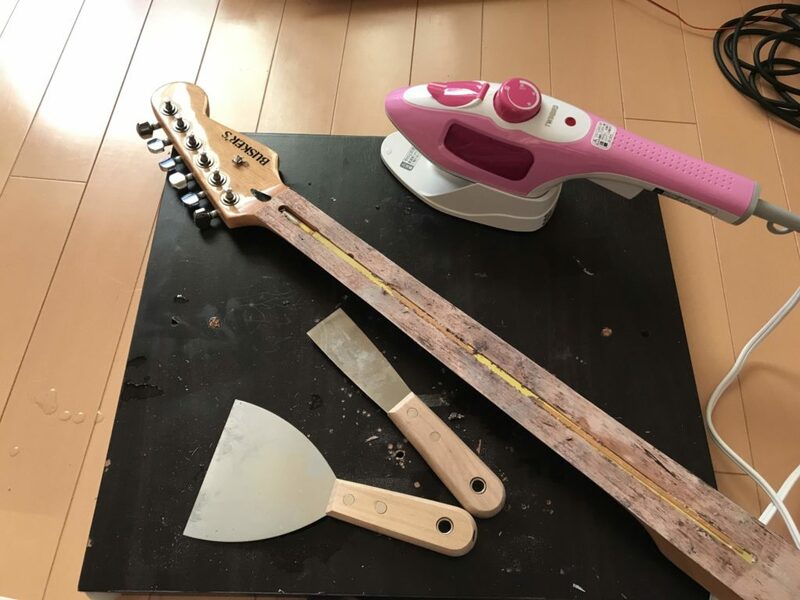 First of all, let’s tear down the guitar. 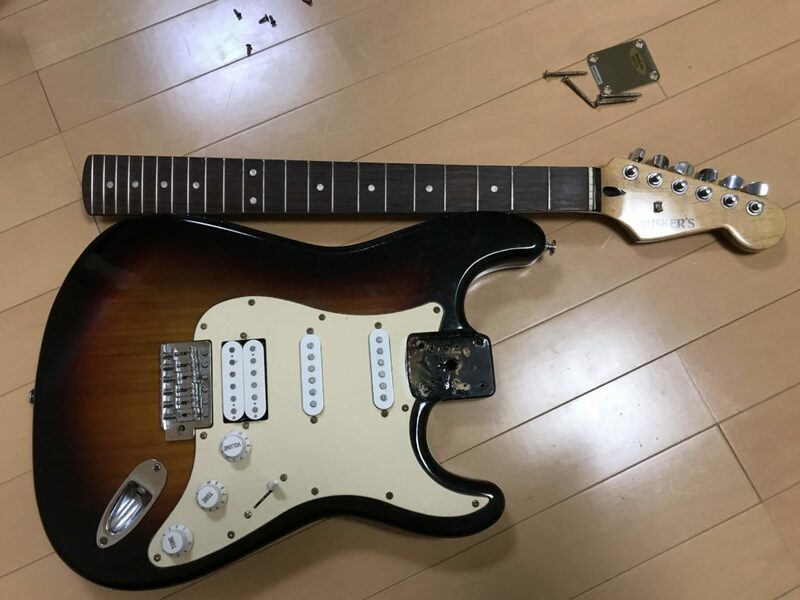 I use stratocaster type guitar (I got a this second hard guitar about $25). 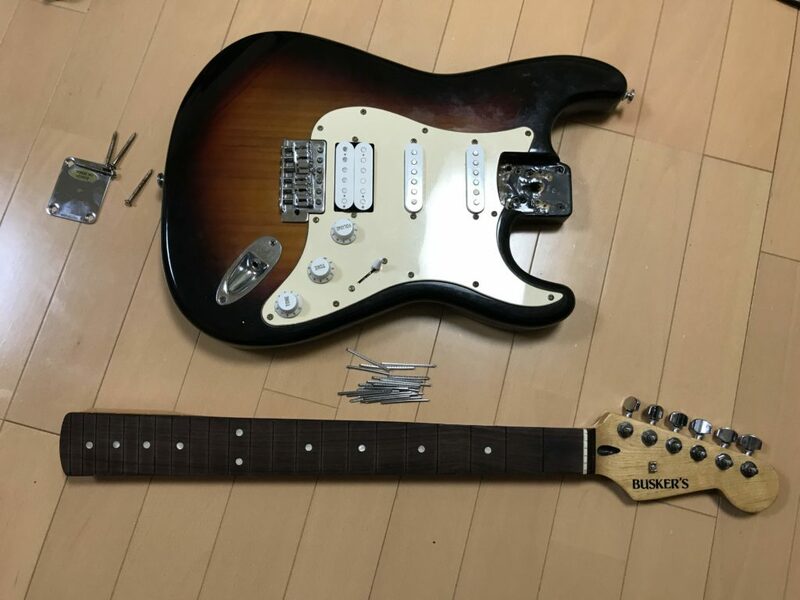 I really want to play the fretless guitar, then I removed the all fret from guitar by using pliers. 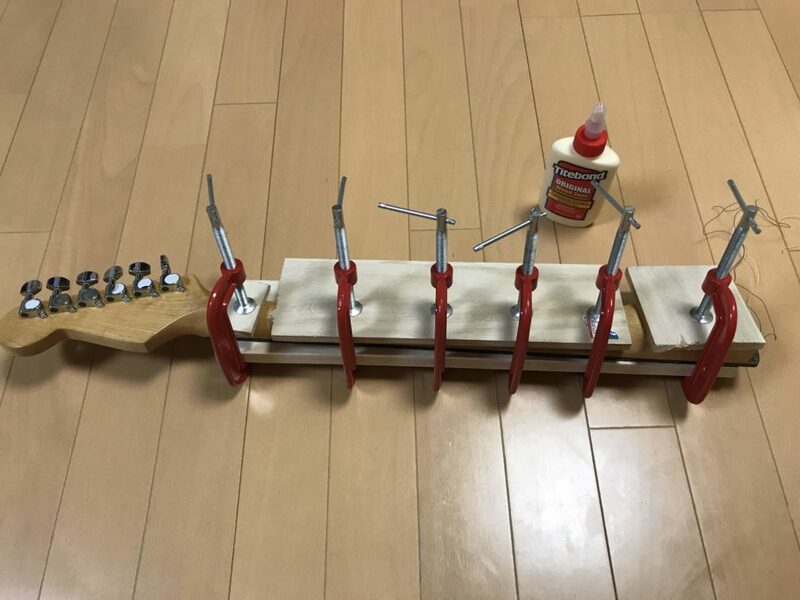 When this process, it’s careful not to damage to the fingerboard. 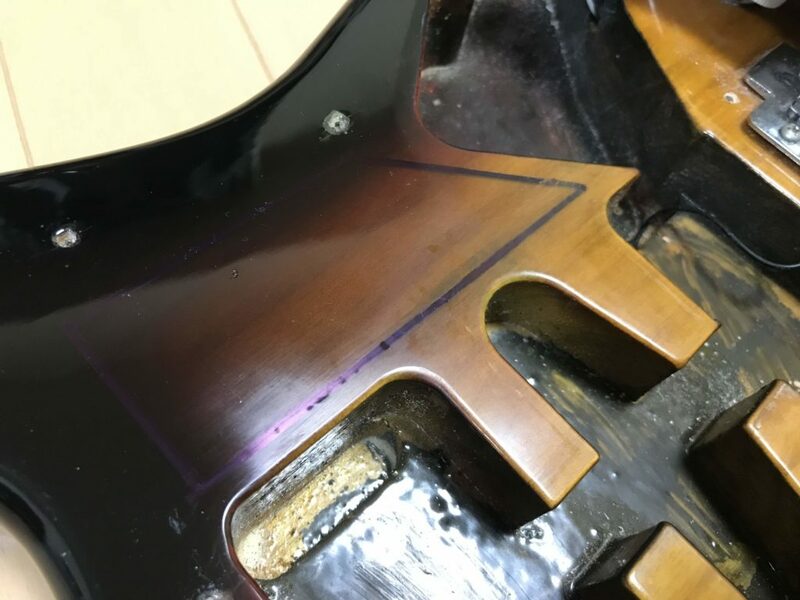 Next, fill the epoxy resin to fret gap. Attach the masking tape to the neck for don’t be sticked the epoxy. 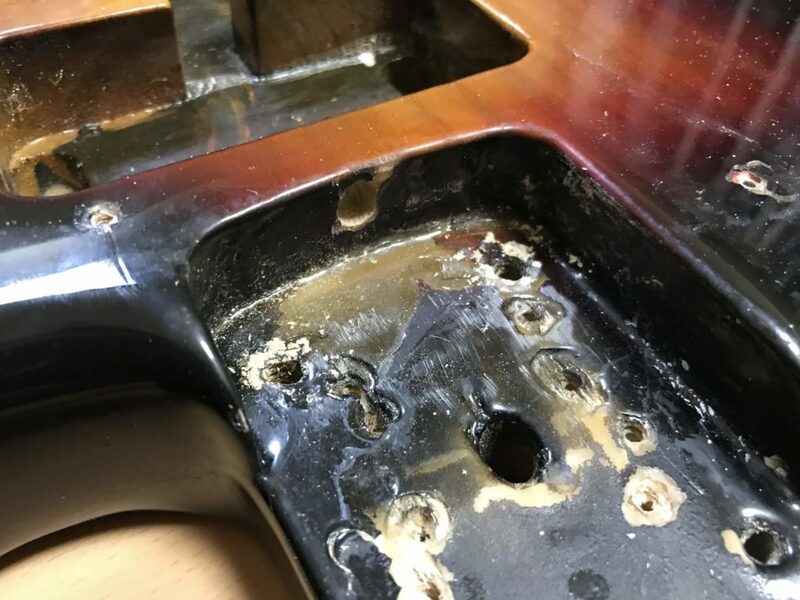 Leave the neck about 24 hours, then remove the epoxy resin with sand paper. Next, separate neck and fingerboard for set the NeoPixel LED. 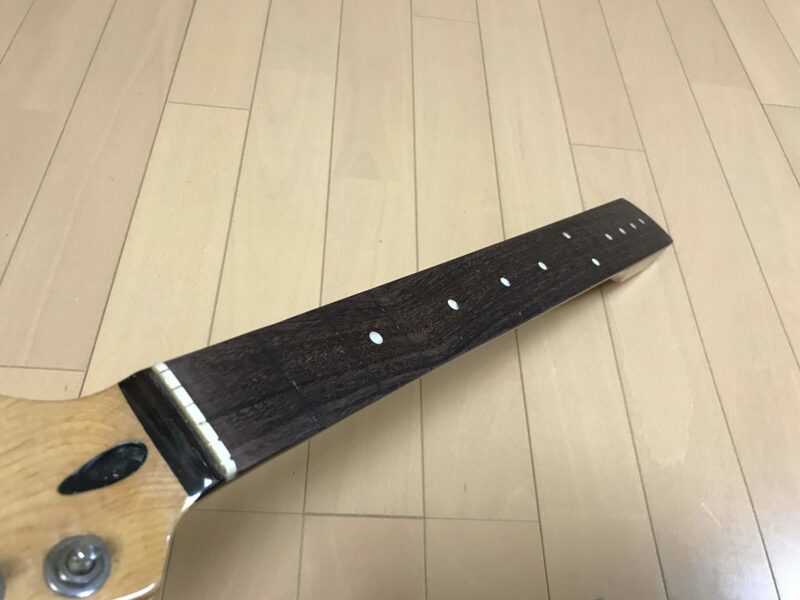 Fingerboard and neck is bonded by wood glue. Place a cloth on the fingerboard, heat the fingerboard by using Steam Iron for melt the glue, it’s important a lot of steam in this process. 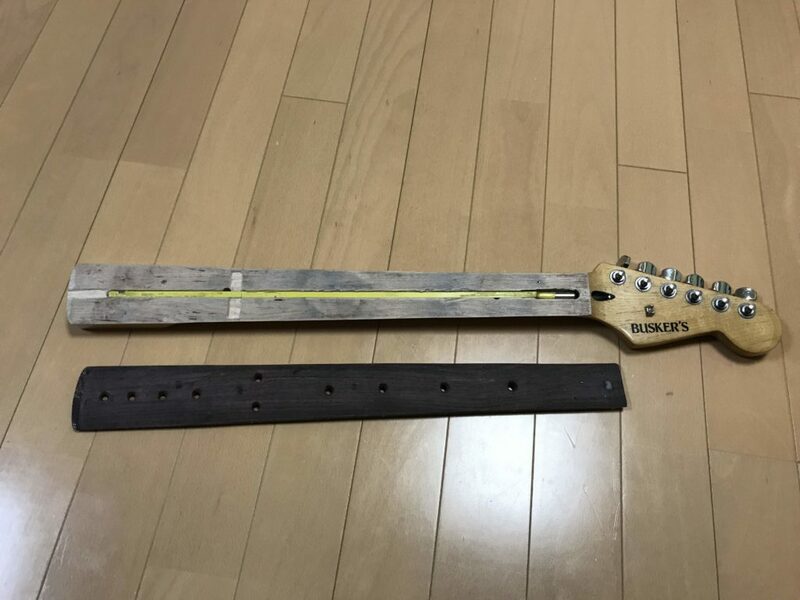 Little by little, separate the neck and fingerboard with metal spatula. Next step make a position marker hole to fingerboard with drill. 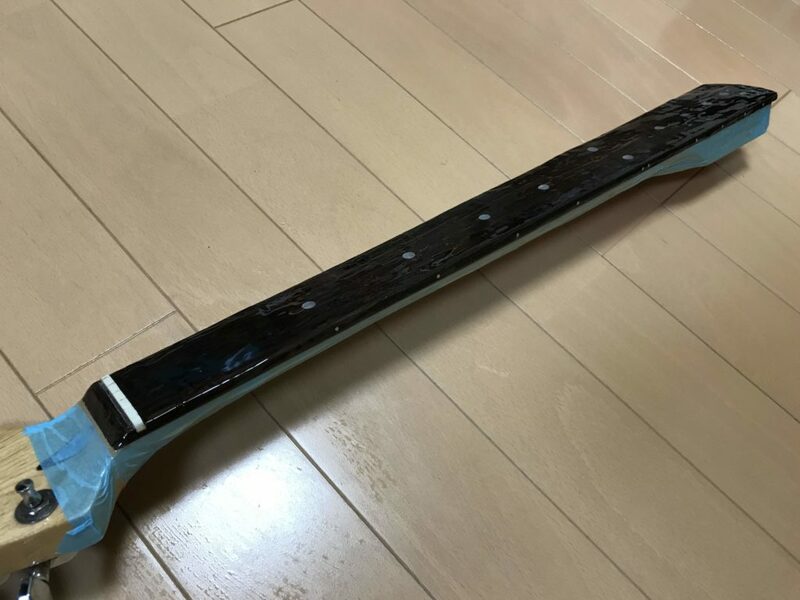 I think it’s better to set a NeoPixel LED to back side of fingerboard, so I extended a position marker hole (back side of fingerboard) with chisel for fitting to a NeoPixel LED size just a little. 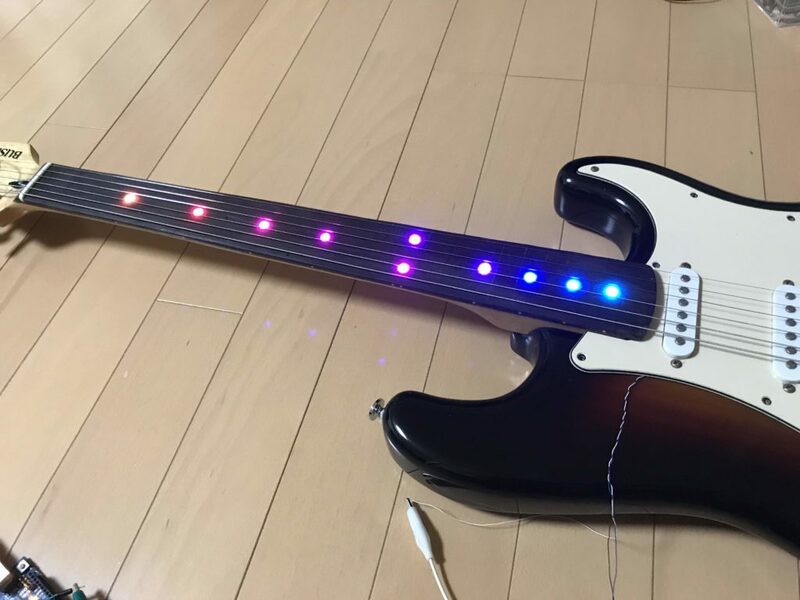 The wiring of the NeoPixel LED passes through the neck truss rod groove, but 12 fret position marker don’t have a groove. Then make the groove vertically on 12 fret position for LED wiring. Finally set the Neopixel LED to position marker hole and wiring with powerful double-sided tape. 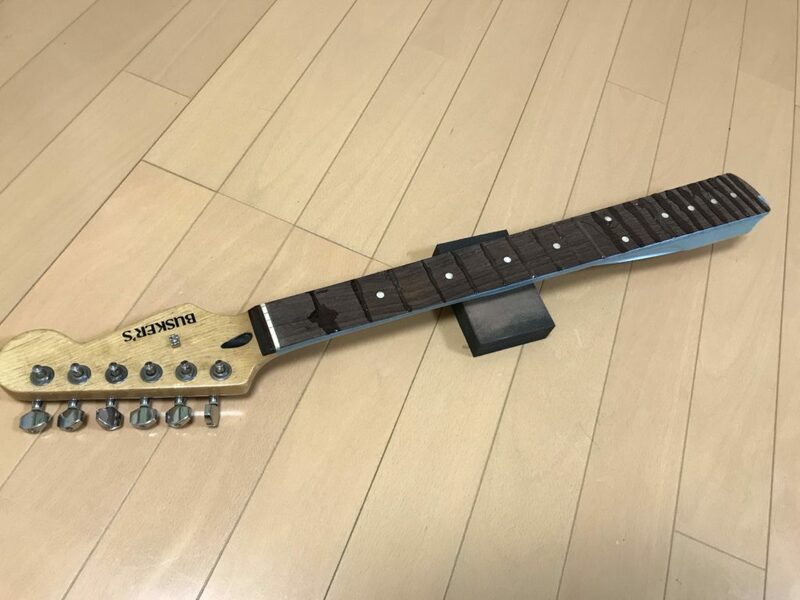 It’s good fo put insulation tape on truss rod. NeoPixel LED will be crimped by fingerboard and neck. 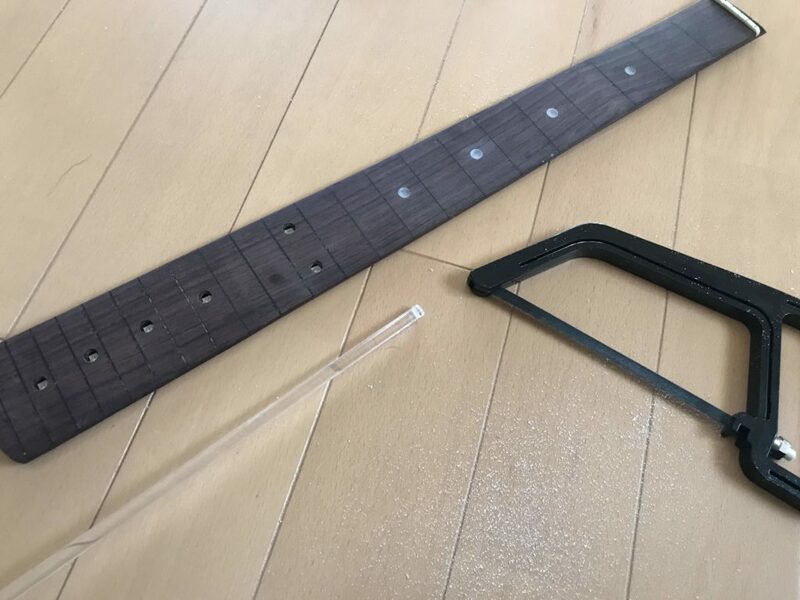 Before crimp the fingerboard and neck, make a position marker by using Acrylic rod(5mm). And test a neo pixel LED light. All LED works fine, crimp the fingerboard and neck with Titebond. Leave it for 24 hours. After 24 hours, test the nexopixel LED light works fine. (3) and, to provide a smooth surface for my fingers to slide across while I play the fretless guitar. 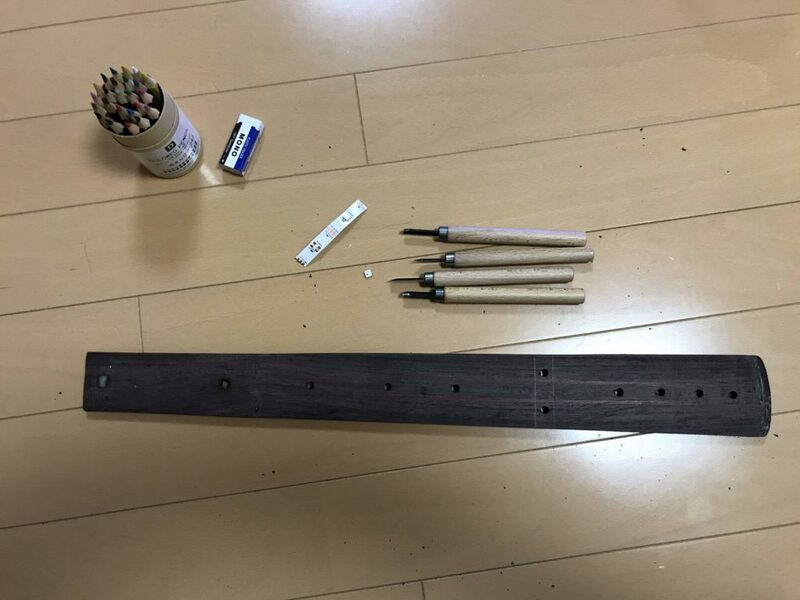 After painting the epoxy resin, leave it for 24 hours and brush the fingerboard with sandpaper. Here is NeoPixel LED output wiring from neck. 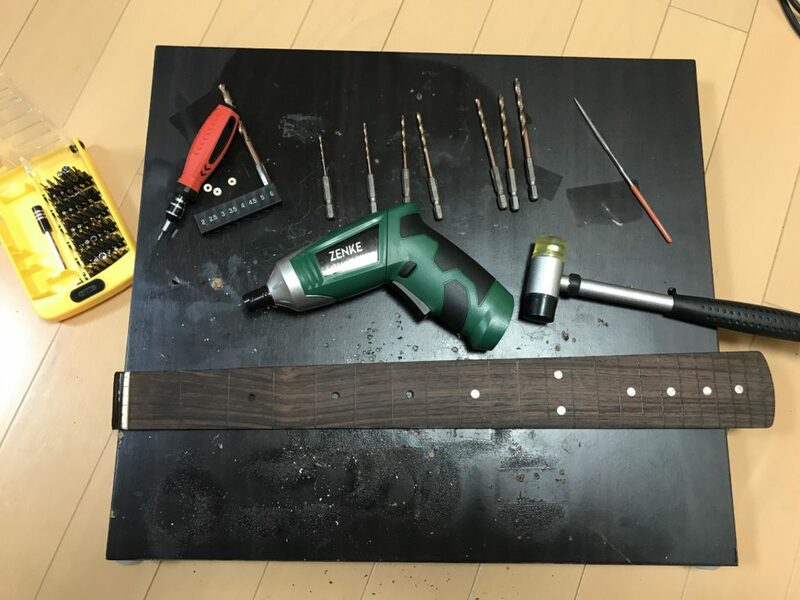 Make the hole with drill to the guitar body for NeoPixel LED wiring. 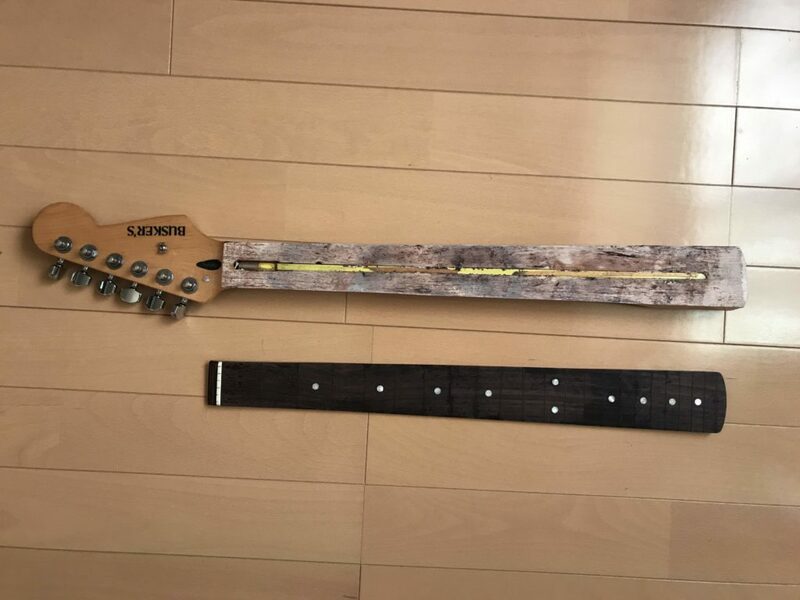 Joint the neck and guitar body, check the NeoPixel LED light. I use Particle Argon&LiPo battery for NeoPixel LED control. 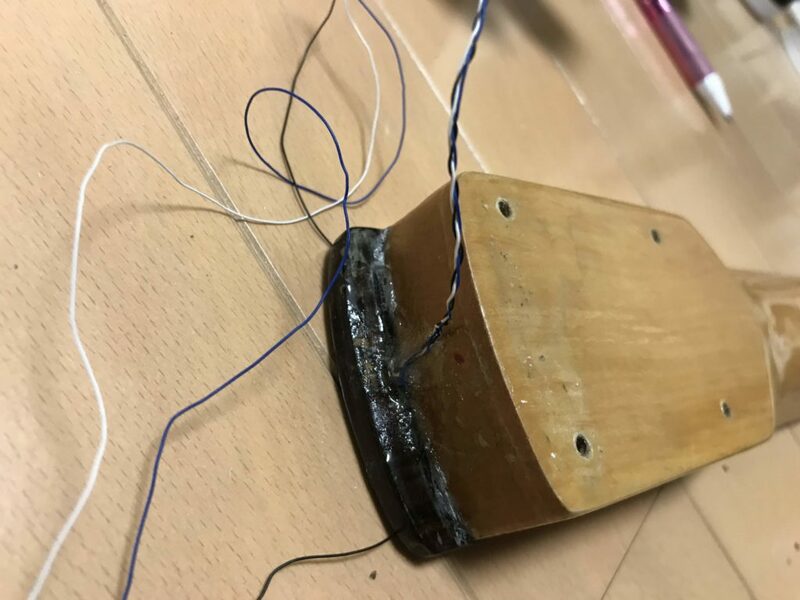 Don’t you think it’s interesting the guitar will be MESH Thread(IPv6/Bluetooth) gateway? Then I made the place with chisel on guitar body for Particle Argon. And paint the epoxy resin to the that place. 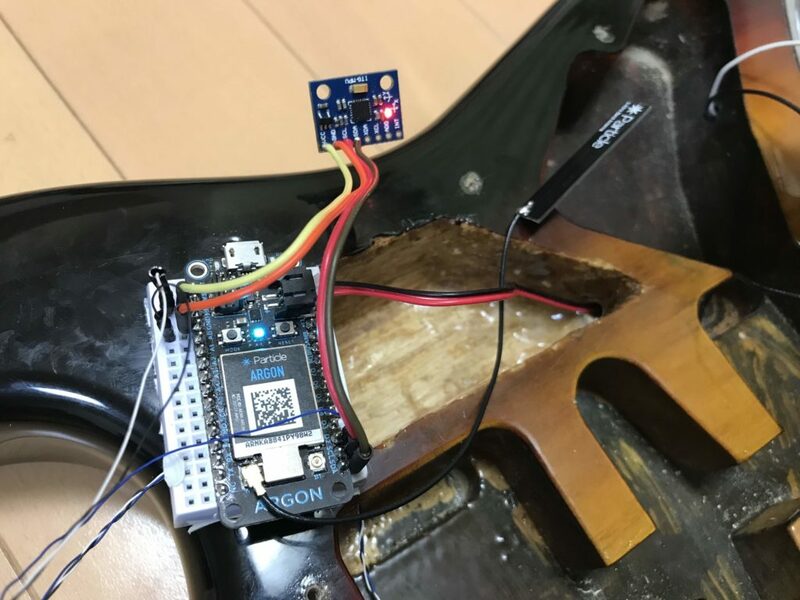 Set the Particle Argon and MPU-6050 on the guitar body. Argon LiPo power line passes through to the spring cavity unit by using ground connection hole from volume knob. LiPo battery is set with sticky back fastener on the guitar body. If it need to change the LiPo battery, it’ easy to replace. Here is Argon MPU-6050 control LED guitar sample source code. 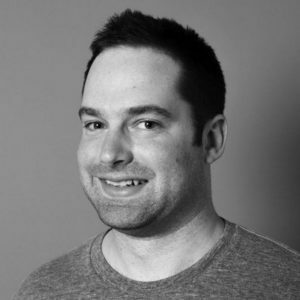 I'm a programmer based in Tokyo, Japan. 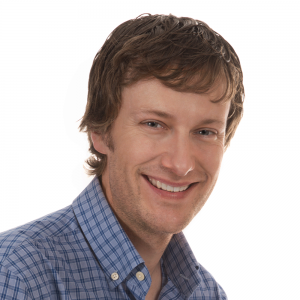 To see more of my work, visit my personal site or view my code repositories on Github. 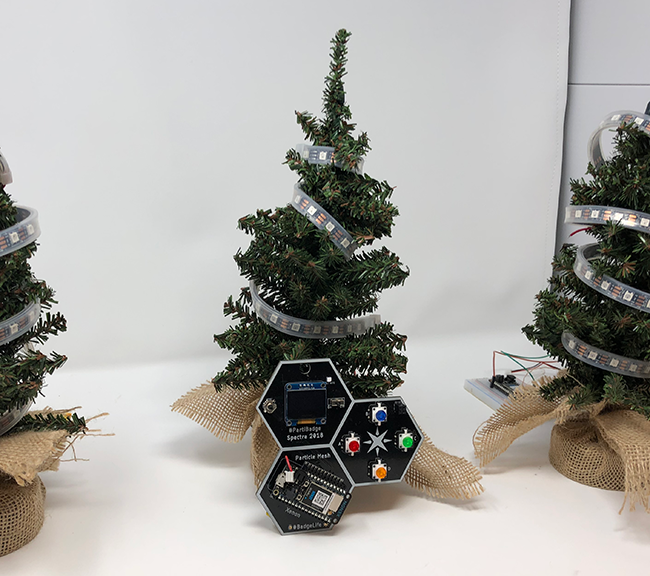 Learn to build a coordinated holiday light show with API calls for low-latency mesh networking. 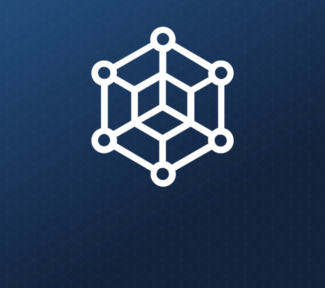 This is the first in a series of posts to get you comfortable with Particle Mesh networking.